Heat oven to 375°F. In small bowl, beat egg slightly. 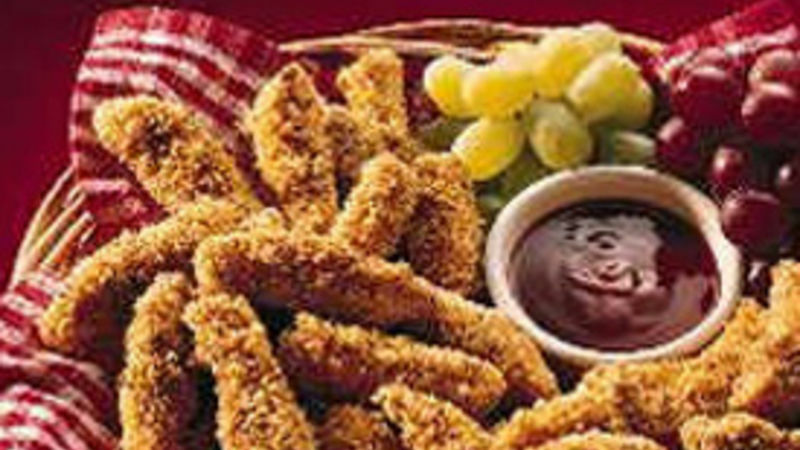 Dip chicken strips in egg; roll in bread crumbs, coating evenly. Place on ungreased cookie sheet. Bake at 375°F. for 10 to 15 minutes or until chicken is no longer pink in center and coating is crisp. Serve with warm spaghetti sauce. * Progresso® Garlic and Herb or Parmesan Bread Crumbs can be substituted for the Italian Style Bread Crumbs.